A writer’s inner sanctum is surely the holiest of holys. The place where creative juices flow and much-loved characters are born, live and die. It is a place where empires rise and fall and magical folk live out their lives in a perpetual battle of good versus evil. But what happens in there when you’re not writing? What do you actually do in there all day? In this first of an occasional series I will lift the lid on some of the weirder things that happen in the inner confines of my writing shed. All writers need a place to write. It can be humble or grand or it can be several places. For many years I did the bulk of my writing on the tube in the morning which, it has to be said, is not ideal. However, a few years ago I acquired my own writing shed at the bottom of the garden. A place where I had the space to do a lot more than just write. 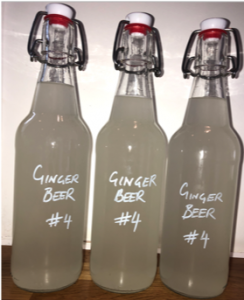 One of my passions when not using the writing shed to write in, is brewing my own ginger beer. Ginger beer was first made popular by Enid Blyton in the 1940’s at a time when it was still served in the traditional measure of lashings. 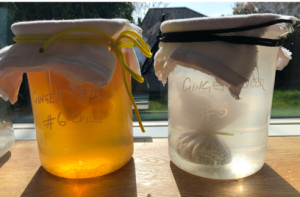 Proper ginger beer is brewed from the ginger beer plant which looks like frogspawn and is actually a slimy bacteria/yeast concoction that turns sugar into alcohol and then promptly eats the alcohol so it is fermented but at the same time, safe for writers. The shelves of my office usually groan with experimental batches of GB that tinker with the precise ratios of ginger, lemon juice, sugar and frogspawn in search of the perfect brew. 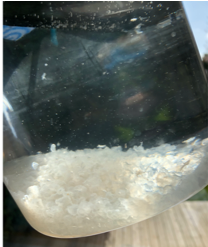 Its fun, it’s quite tasty and it does wonders for my ‘mad professor’ persona when I have visitors. I even have an experimental batch of chilli ginger beer on the go which I have high hopes for. It’s a zen thing really.